Brushed the skate lane up with the ginzu. It was icy to start but gets better as you ski further back. l left the classic track, which is holding up well but glazed over in spots. It’s a beautiful day, with light wind and a slight overcast. Ginzued everything, classic track still awesome, low 20" s, sunny, snow is perfect, packed powder, snow hasn’t melted at all up here. A few hardy souls that showed up for the first "fall" trail day. It looked more like winter as we hiked through a foot of snow to cut out downed trees on Meadow Loop. Thanks volunteers! While we all anxiously await the first high country snowfall signaling the beginning of the end to this memorable fire season, the Last Chance Nordic Ski Club (LCNSC) is also looking ahead to snow and to ensuring the MacDonald Pass ski trail system is prepared for another great year of groomed skiing memories. 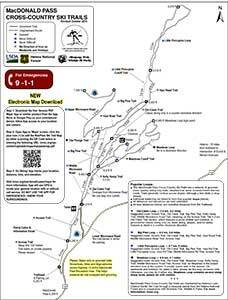 In order to make that happen, please consider joining LCNSC for three trail maintenance days: Saturday 9/16, Saturday 9/30, and Sunday 10/1. No need to RSVP, just meet at the normal MacDonald Pass parking lot north of Highway 12 at 10:00 am. We will plan on working until roughly 2:00pm but if you have to leave early, we’d appreciate whatever time you have to offer. Bring work gloves, water, snacks, weather appropriate clothes, chain saws, weed whips, and garden shears if you have them. Direct any questions you have to Peter Brumm at mmurb219@gmail.com. Thanks everyone and think s-n-o-w.
We’re looking for a few, hearty and willing volunteers, to help get the Mac Pass Nordic Trails ready for the coming ski season. 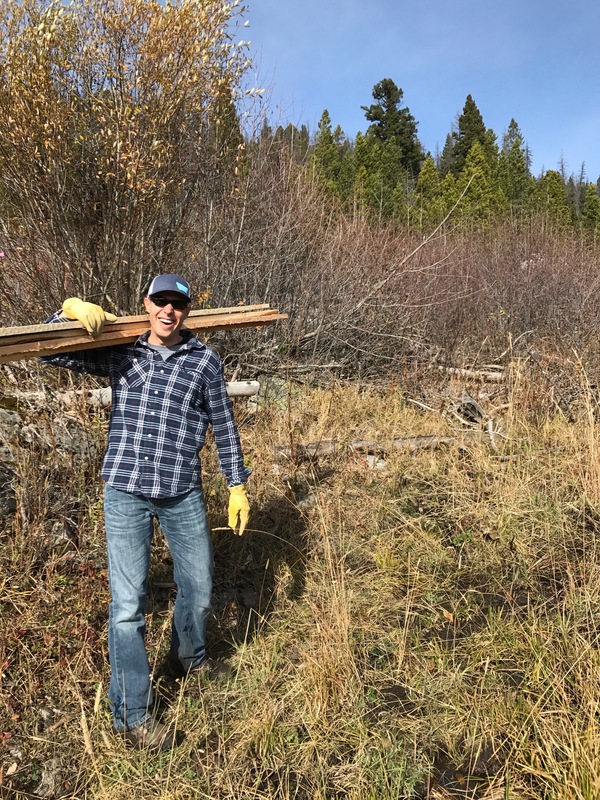 Volunteers will whack weeds, clear the trail of rocks and fallen limbs, and generally buff the tread into a sterling state of grooming readiness. 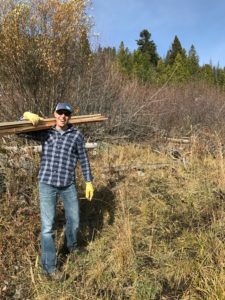 Peter Brumm, the Club’s MacDonald Pass Trails Coordinator, is organizing these cleanups. Peter will post details to the Club’s mailing list as these dates get closer. Usually we meet up at the Parking Lot on a weekday morning, and work until mid- to late-afternoon. Volunteers bring water, rain gear, work gloves, eye and ear protection, snacks, and a lunch. We’ve usually lucked out and had great weather. We always enjoy very good company, and have a good time, all the while we make a winter’s good skiing possible. Please consider volunteering a weekend day or two, and joining in the fun. Thanks!